on the taste and passion than encompasses Italian coastal cuisine. 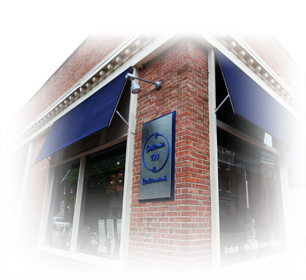 The Italian word “Osteria” means host and Chef/Owner Arturo Ottaviano takes that meaning very seriously. From the elegant atmosphere to the freshest ingredients that comprise his dishes, Arturo is passionate about every aspect of Osteria 177. A gastronomical delight, the culmination of the finest ingredients from sushi-grade ahi carpaccio to Fell’s Point Beef creates a fine dining experience unlike any other. Once you walk through the door, exquisite smells intoxicate you as you’re greeted with warm, friendly service. Original paintings decorate the walls as the glittering chandeliers light the modern art deco style. Once you’re seated the menu takes center stage with regional cuisine and wines that will make your mouth water. From lunch to a romantic dinner for two or a small intimate gathering, Osteria 177 is the perfect place to mingle, celebrate, and toast the tastes and traditions that have earned it’s place among the finest restaurants.